Approaches to monitor and assist with adherence to antiretroviral therapy are emerging as a cornerstone of the response to the HIV pandemic. An estimated 36.7 million people are living HIV/AIDS, and optimal outcomes depend on HIV diagnosis and subsequent viral suppression through adherence to antiretroviral therapy (ART).1 Traditionally, 95% adherence was necessary to maintain viral suppression and avoid development of resistance, but even with the more forgiving modern ART regimens, approximately 85% adherence is necessary.2 Similarly, protection against new infection with pre-exposure prophylaxis (PrEP) for those at high risk for HIV transmission is known to be exquisitely sensitive to drug exposure. Approaches to monitor and assist with ART adherence have evolved and are emerging as a cornerstone of the response to the HIV pandemic. 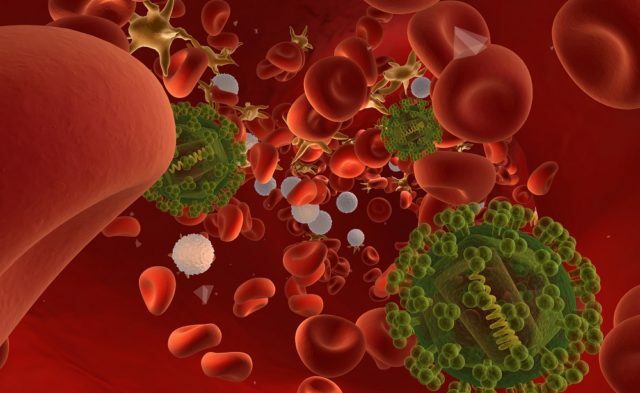 A recent review in Current HIV/AIDS Reports3 highlights new developments in antiretroviral adherence with a focus on pharmacologic measures and monitoring in real-time. Low-tech indicators of ART adherence such as self-report, pill counting at clinic visits, and pharmacy refill data, although inexpensive, have well-described limitations. Recall bias or social desirability bias (telling the provider what they want to hear) frequently affects self-reporting, and “pill dumping” may confound pill counts.3 HIV viral suppression has long served as a useful surrogate, where available, and predicts good clinical outcomes. However, as viral rebound may occur long after a lapse in adherence, the timing of an intervention may be delayed. Moreover, viral load is of no use for PrEP adherence. Akin to tuberculosis control strategies, directly observed therapy has been employed, although only when adherence is a known problem and is highly staff intensive. Peer educators and ART adherence clubs have enjoyed a degree of success, but provide no objective information for clinicians. One attempt to improve ART adherence monitoring is the use of electronic adherence monitors such as the medication event monitoring systems, which use a microchip in medication bottle caps to record dates and times of all bottle openings and closings.3 This objective information gives a detailed history of adherence patterns, but may be limited by so-called “curiosity openings” or “pocket dosing,” where bottle opening and pill ingestion fail to correspond. The lack of real-time information also precludes early intervention, as the data are retrieved only on clinic attendance. Drug exposures from plasma, peripheral blood mononuclear cells, or urine samples are objective measures that integrate behavioral and pharmacokinetic information. Many PrEP trials have used these methods to monitor adherence and demonstrated clear clinical utility with a strong correlation between HIV transmission events and low levels of drug.4,5 Limitations include costly and technically challenging sample processing, which may restrict use to resource-rich settings. Also, these matrices only provide a short “look-back” for most antiretroviral agents because of the short half-life of the parent drug, and so may miss longer-term adherence problems. Dried blood spots and hair samples are new strategies to monitor adherence.3 Both improve on traditional approaches primarily by providing an indication of cumulative ART exposure. Hair sampling is a pharmacologic measure of adherence that is acceptable (>95% acceptance8) and feasible for patients while being non-biohazardous and noninvasive. Fifty to 100 strands of hair are collected close to the scalp, avoiding the need for phlebotomy, a cold-chain, and expensive transporting. Baxi et al8 have shown in phase 2 PrEP clinical trials in Africa that TFV/emtricitabine hair concentrations correlate significantly with levels in plasma and peripheral blood mononuclear cells (correlation coefficients, 0.41-0.86; all P <.001). Multivariate analyses also showed a strong association between all pharmacologic measures and pill-taking behavior recorded through medication event monitoring system cap openings. Wireless real-time adherence monitoring combines use of electronic adherence monitors with the capability to transmit a time-stamped signal to a web-based server indicating device opening. A South African study has assessed the efficacy of real-time intervention by text message reminders in response to >30-minute delay in bottle opening for an ART-naive population. Compared with a standard-of-care placebo group, neither cumulative adherence nor HIV viral suppression rate was different between the groups. Treatment interruptions of >72 hours were, however, reduced (adjusted incident rate ratio, 0.84; 95% CI, 0.75-0.94).9 Refinements of this approach may lead to greater efficacy of real-time adherence intervention outside the clinic. Jose R. Castillo-Mancilla, MD, associate professor in the Division of Infectious Diseases, Department of Medicine, University of Colorado, Denver, and author of a recent review,3 was interviewed. Is the field of ART adherence likely to converge on a single approach? “I think all adherence measures should be complementary. Each has strengths and weaknesses. I do not think a single measure will ever be enough to get the whole picture, and different methods could be used in different circumstances,” explains Dr Castillo-Mancilla. In summary, the rapidly developing landscape of ART adherence monitoring has great potential for clinical application, but may require further cost-effectiveness and feasibility studies to define the appropriate roles for these new technologies. World Health Organization. Global health observatory (GHO) data: HIV/AIDS. http://www.who.int/gho/hiv/en/. Accessed March 14, 2018. Viswanathan S, Detels R, Mehta SH, Macatangay BJ, Kirk GD, Jacobson LP. Level of adherence and HIV RNA suppression in the current era of highly active antiretroviral therapy (HAART). AIDS Behav. 2015;19(4):601-611. Van Damme L, Corneli A, Ahmed K, et al. Preexposure prophylaxis for HIV infection among African women. N Engl J Med. 2012;367(5):411-422. De Kesel PM, Sadones N, Capiau S, Lambert WE, Stove CP. Hemato-critical issues in quantitative analysis of dried blood spots: challenges and solutions. Bioanalysis. 2013;5:2023-2041. Baxi SM, Liu A, Bacchetti P, et al. Comparing the novel method of assessing PrEP adherence/exposure using hair samples to other pharmacologic and traditional measures. J Acquir Immune Defic Syndr. 2015;68(1):13-20. Orrell C, Cohen K, Mauff K, Bangsberg DR, Maartens G, Wood R. A randomized controlled trial of real-time electronic adherence monitoring with text message dosing reminders in people starting first-line antiretroviral therapy. J Acquir Immune Defic Syndr. 2015;70(5):495-502.